I think I’ve gotten myself slightly addicted to CAL’s, for those of you who don’t know a CAL is a ‘crochet along’ and I can’t get enough of them. 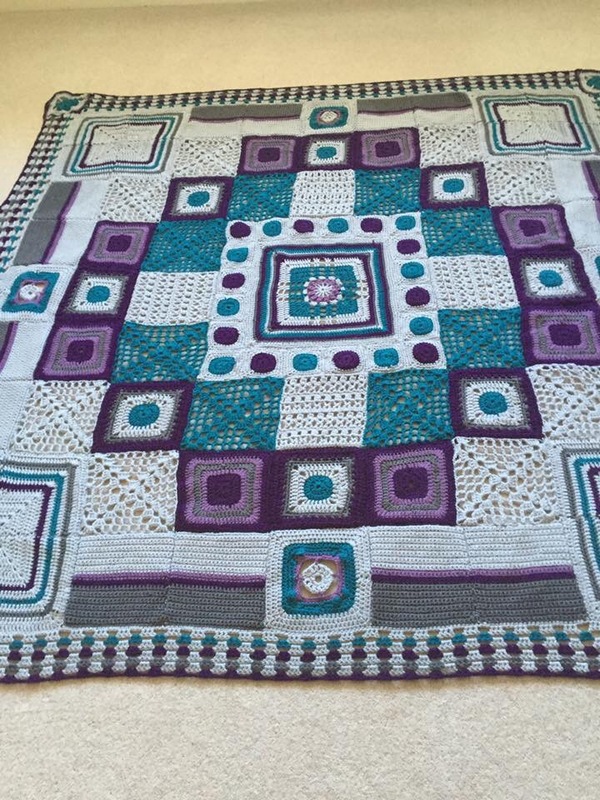 My first was the Deramores Emma blanket mystery CAL which I have been blogging about, well the mystery ended last week, and the blanket was revealed, in all honesty I’ve still not finished, I’ve just got 4 boarders to finish at 235 stitches across and 9 rows, but I have taken the photo below from Jackie field on Facebook who has finished hers, and bit it has spurred me on to get mine done, how gorgeous does her blanket look?! So again for those who don’t know with a CAL you buy a pack of squishiness from a supplier which contains all of the yarn and colours you need to complete the project, you then join a social media group i.e Facebook with all of the others also taking part in the CAL and each week the next pattern is released, the thing with the Emma blanket was that it was mystery so nobody knew what it was going to look like, some (like me) stuck to the suggested colours and others went a little crazy and went for all sorts, personally I’m a stickler for rules and not all that adventurous! I’m really excited to get working on it! Probably next week now, then……. One of my favourite designers is sue Pinner, who I was lucky enough to meet her at Blacksheep wools last year when she was doing a book signing, well sue is launching a CAL too!! Whilst I was checking it out my finger slipped and I accidentally bought the pack whoops! 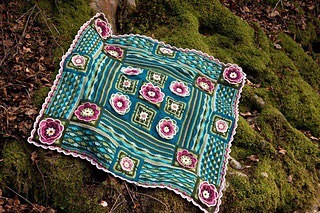 Now the first pattern isn’t realeased until September 13th so it gives me a few weeks to do my Lilly pond! I’m not going to rush it as I want it to be perfect. 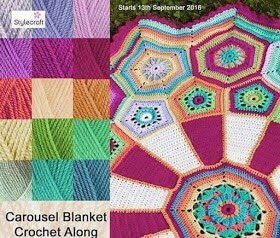 Anyway sues CAL is the carousel blanket, very bright and vibrant colours, but she’s launched a few different colours, which I’m pleased about as the original is a little bright for me…. Stunning isn’t it?! I don’t know what to do with my Emma blanket as it doesn’t match anything in my house, so still pondering over that one, although I am contemplating giving it as a cheer me up gift for a friend who is going through a difficult time at the moment…..lillypond has already been taken before it’s made and that’s for my daughters bedroom. And the carousel blanket will be going to a friend who I used to work with, who’s been to hell and back over the last few years, yet has still taken time to support me when I’ve needed it recently. And!!!! 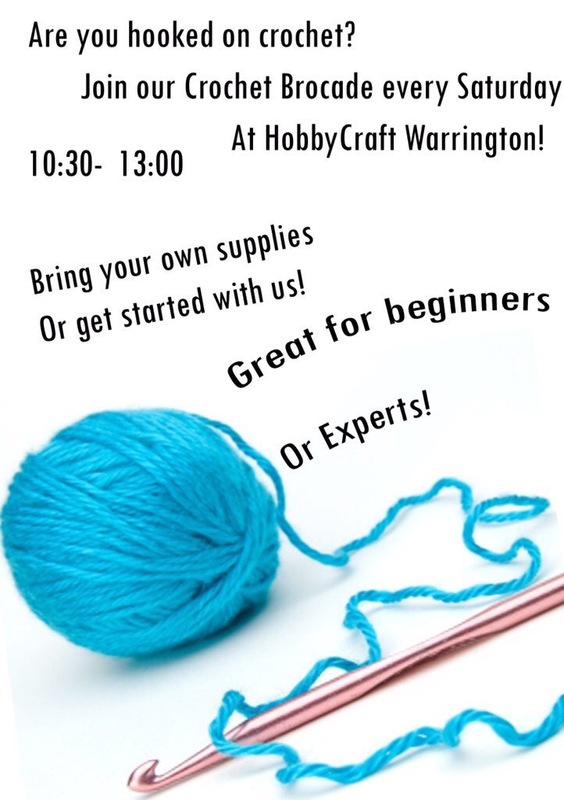 My crochet group starts on Saturday! Hobbycraft have started advertising, and I’ve been doing what I can on social media, there will probably only be 3 of us to start with but it’s a a start, and hopefully as people pass by shopping they might want to join in, we will be called the Crochet Brocade! 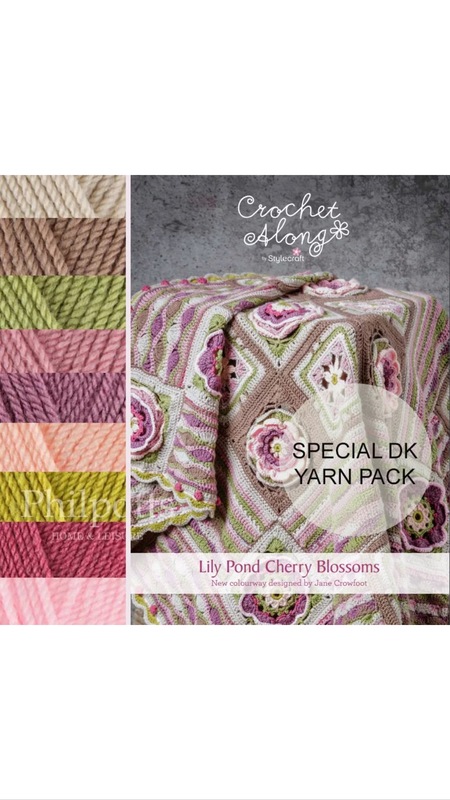 It will be so nice talking to people on a face to face basis about crochet rather than this virtual world, I’m really excited about it and hope it takes off! Oh, the wonderful CAL! It’s hard to stay with just one, or two, or three…..
Isn’t it just!! It’s great seeing other people’s work and comparing my own to them also, gives me a little confidence!